27 Church Street, Atherton, Manchester, M46 9DE. 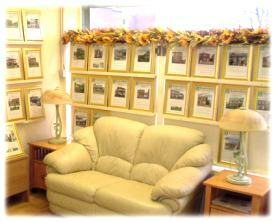 I have been in the Estate Agency business for almost 20 years, with my own business running for 15 of those. Along with my daughter, Amanda, and Kath we pride ourselves on giving all clients our personal attention. As a family run business, we know what people require when looking for a new home, whether your are a first time buyer or you're a growing family needing more room, we're there to help, guiding you through the whole process from beginning to completion.
. Having been employed within a firm of Solicitors for over 23 years I am able to assist all clients requiring guidance through the conveyancing process. Our success is built on our reputation and client recommendation. We are here to take the strain out of the process of buying and selling houses. For those who are selling we are here, on hand to advise, to put you in touch with buyers, solicitors and surveyors.